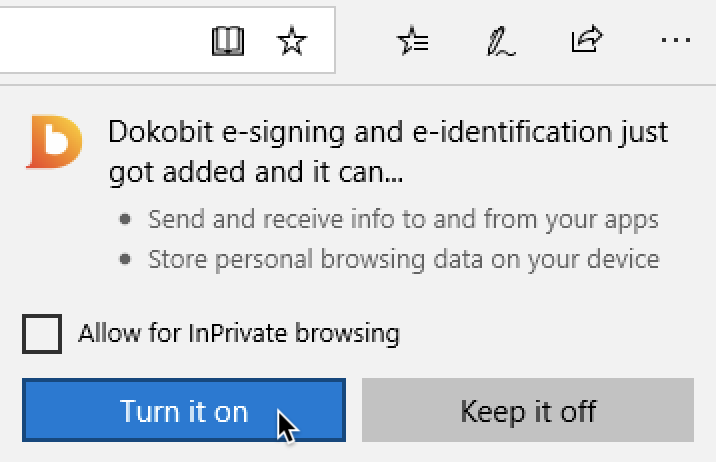 This guide covers the Dokobit browser plugin and e-signature device drivers installation for Microsoft Edge users on Windows. 1. Download the Microsoft Edge extension that allows you to sign and identify yourself with e-signature from here. 2. You will be taken to the Microsoft store. To download and install the extension, click "Get" button. 3. Click "Launch" once the extension is installed. 4. Click "Turn it on" button in the newly opened box at the top right corner of your browser. 5. Once the extension is enabled (turned on), you can check whether the software is ready for use by clicking here. 6. The view below indicates that software was installed successfully. You can now start using the Dokobit portal. 8. If there is no new extension notification, check if the extension is in the browser extension list. 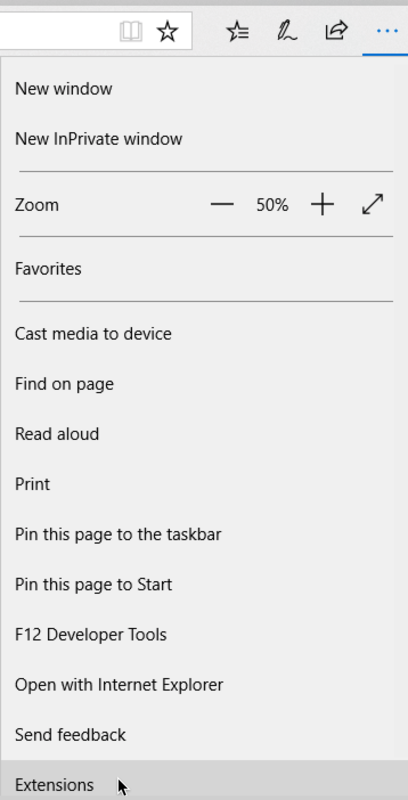 Open the Microsoft Edge browser, click the "Menu button" at the top right corner and choose "Extensions". 9. If the extension is listed as "Off", toggle the button to turn it on.